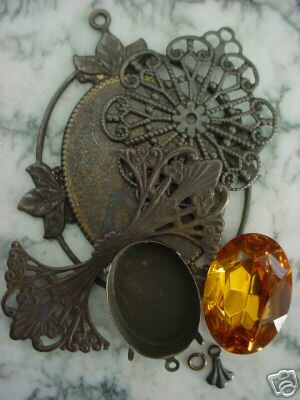 These findings were used to create the pendant shown at the far right. 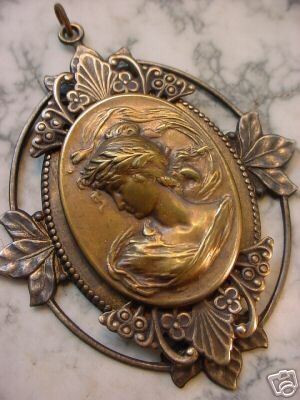 There are just endless design possibilities when designing with aged patina brass. 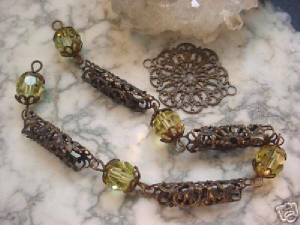 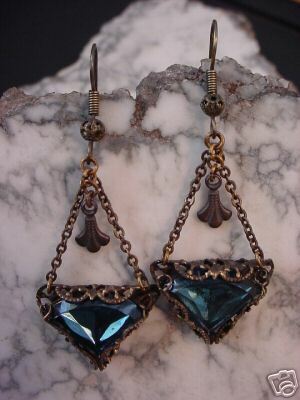 Czech glass beads with oxidized brass bead caps, strung on oxidized brass headpins. 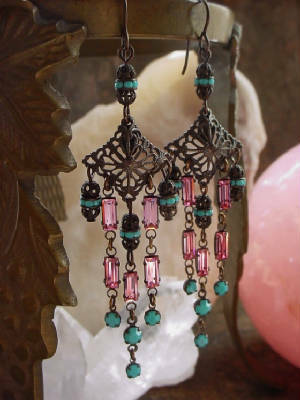 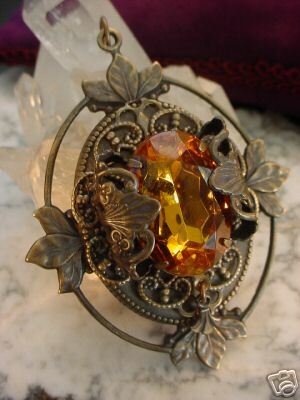 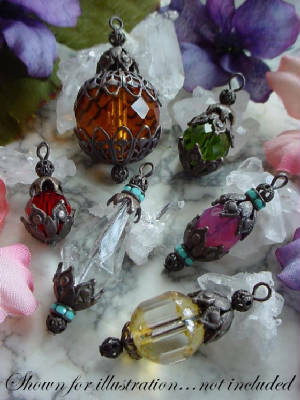 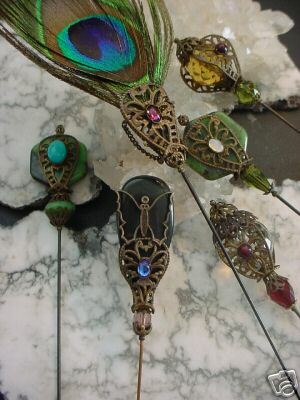 These unique drops are wonderful as small pendants, make two for earrings, great as hatpin or stick pin dangles or charms. 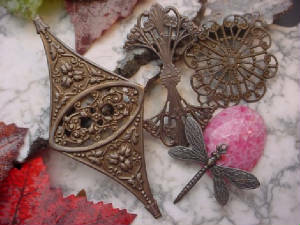 Examples of filigree wrapped connectors. 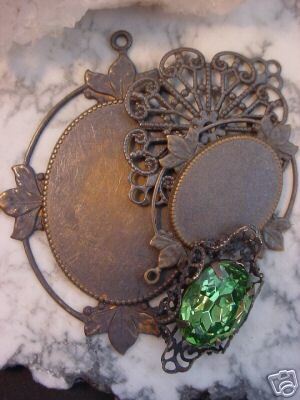 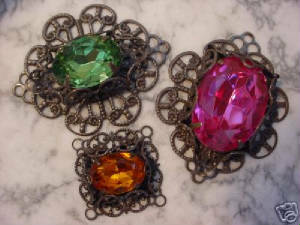 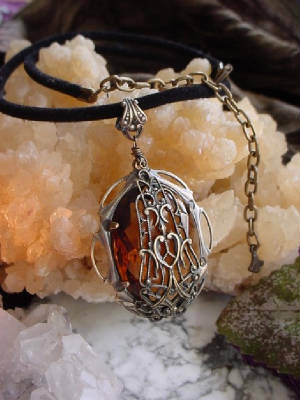 The focal (center) stone was filigree wrapped and then glued onto the larger background filigree. 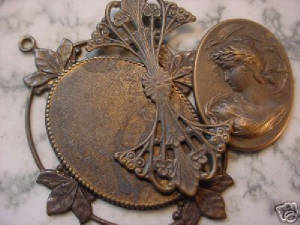 A brass disc glue cover was placed on the back to cover the glue and add extra stability to the stone. 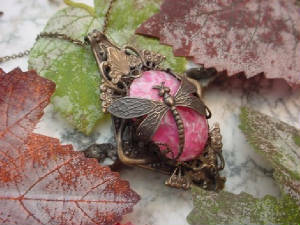 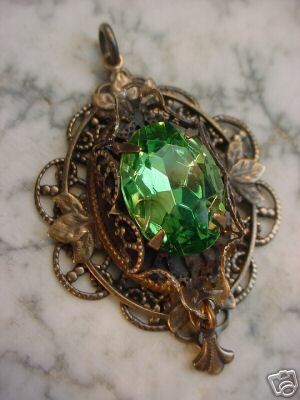 Learn to make pendant above at our studio "Just Glue It" page. 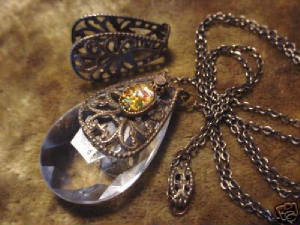 Our lace filigrees can also be wrapped around any round object (pen, screwdriver, etc.) 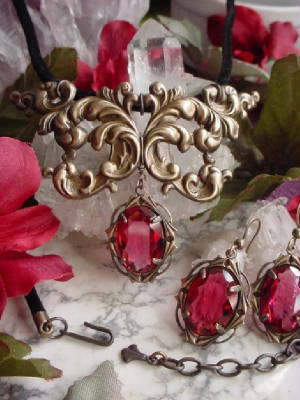 to make lovely and unique tube bead connectors as shown in the photo at the right. 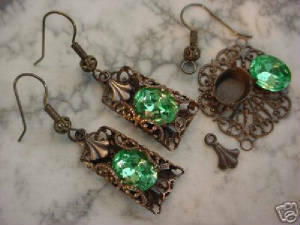 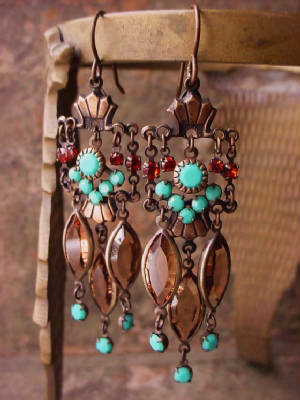 Visit my etsy shop to browse & shop my limited edition hand oxidized brass jewelry findings, beads & embellishments.